Home » What Debt Should I Pay Off First? I get the question of “what debt should I pay off first” many times. Not just by readers, but by friends and family members as well. In general, there are two approaches you can take when paying off your debt. You just have to determine which one makes the most sense for you. Let’s look at your options in depth. Here are your two primary options for paying off debt. You can combine these and tweak them around a bit, but overall, these are the two methods most people use. Option 1 is to pay off the highest interest rate debt first. This approach will save you the most on interest charges but it may take you longer to get out of debt. Option 2 is to pay off the smallest debt balance first. This approach provides you motivation to stay on the path of paying off your debt. Of course, you may end up paying more in interest with this option. The first option is save the most on interest charges. Let’s look at how this option works. Following the high interest first method, you would pay the minimum balance on loan #1 and put the rest of the money you can afford to pay off your debt towards loan #2. Once loan #2 is paid off, the entire amount you have earmarked for debt repayment would go towards loan #1. In this case, you would save the most in interest charges because you paid off the debt that was costing you the most first. The second option is to pay off the smallest debt the quickest. Let’s look at how this option works. With the smallest balance first method, you would pay off loan #2 first since it has the smallest balance. You make the minimum payment to loan #1 and put the rest of the money you have set aside for debt repayment to loan #2. Once loan #2 is paid off, you will put the money you were using to pay off that loan towards loan #1. Each method has advantages and disadvantages. With the highest interest first option (option #1) we will pay the least amount of interest in total since we are eliminating the debt with the highest interest rate first. The disadvantage to this option is that in some cases, it can take longer to pay off the debt, both in the long term and short term. The smallest balance first option (option #2) reverses the advantages and disadvantages. Here, you will pay off some debt quicker over the short term and possibly the long term, but you will pay more in interest overall. Therefore, you have to decide which is more important to you? Is it saving the most in interest charges or making the fastest progress on your debt repayment? For many readers, the answer is the fastest progress. This is because we like to see immediate results. When you have credit card debt on 3 cards and get rid of the debt on one of those cards quickly, it will help you to stay motivated to keep going. This is why most should pay off the card with the smallest balance first. Of course, speaking solely as finance guy, paying the highest interest rate debt off first is the smartest decision you can make. You save yourself hundreds, possibly thousands of dollars in interest. You may ask then why I say most should do the exact opposite. It’s because the most important thing is to simply get out of debt. That is the ultimate goal – not saving the most in interest or getting out of debt the quickest – but to just get out of debt. As with anything in personal finance, the option you choose to get out of debt will be different than someone else’s. This is OK. You do what you need to do to get out of debt. That is the key – taking back control of your financial life. Regardless which option you choose, I encourage you to look into the Debt Myth app. It’s an app that will help you debt out of debt once and for all. It’s really an amazing thing and I highly recommend it. I’m paying debts off via which one annoys me most haha. At the end of the day as long as you’re moving in the right direction that’s really all that matters! I’m going to have to add that option! I love it! For me, I should pay the big amount of loan first then the second one. Because the big amount has a high interest and I think you need to crashed it first. Sounds like a plan! Here’s to hoping you pay off the big loan quickly! The fastest progress would be my choice too. It can help you to pay your debts earlier. But we have different point of view. And your idea too is great. You have a good point. It comes down to finding what works best for you and your situation. When I was paying off my credit cards (initially 3 credit cards), I was paying off the highest interest rate debt off first. This was because I felt that it was soul destroying seeing the amount of interest eroding away the actual amount I was paying off so for me, it made sense for the highest interest rate to go first. Had they all been the same interest rate, I would have gone for the smallest debt first, for the fastest progress. Glad you found a strategy that worked for you! I tried the highest interest rate first method, but failed. So I went to the smallest balance first and it worked for me. Great thoughts! Not too long ago I encountered this very dilemma when I decided to take the leap into my student loan repayment. It wasn’t pretty and it was going to take me a LONG time to pay it off, but I ultimately decided the best financial decision was paying off the highest interest rates first. Sure, I don’t get that quick gratification that paying off the smaller ones would give but in the end I’ll be a happy camper after saving all that interest! 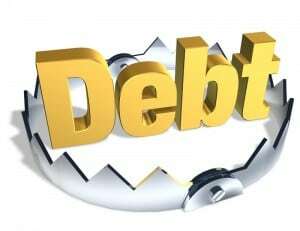 Prioritizing your debt is the key and one should pay the debt with the higher interest rate. If there is not much interest rate difference, then, it is better to go for the debt which you can get rid easily.